Has a dessert ever made you cry? My stepmom, Marge, made the most amazing pies. My favorite was her apple pie, because she made the BEST crust in the whole entire world, and because her apple filling was only mildly sweet and tasted like fresh apples. It was a centerpiece of all our family gatherings. She never used a recipe, she just had the perfect sense of how much flour and butter to use so that the texture would be perfect. She’d adjust the ingredients until they were just perfect. And there always seemed like enough time to learn how to make it. I’d do it later. In December when I did the holiday taste test for Sift! 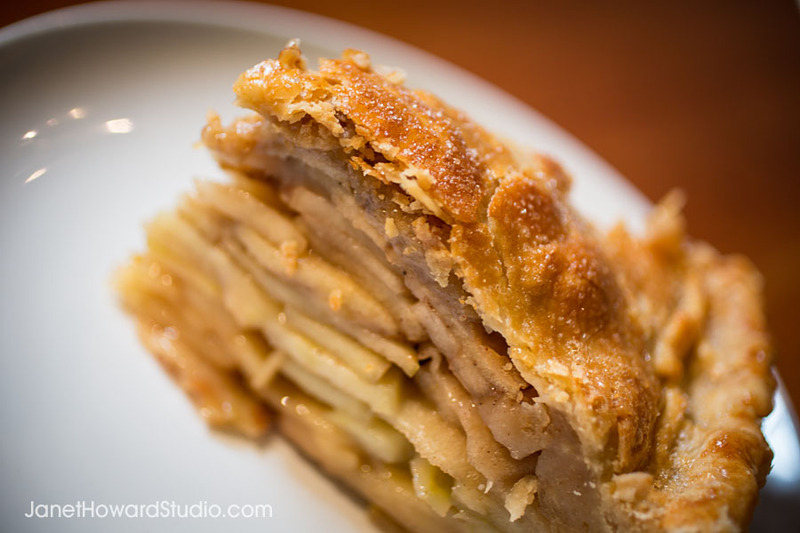 Dessert Boutique, the apple pie brought me right back. 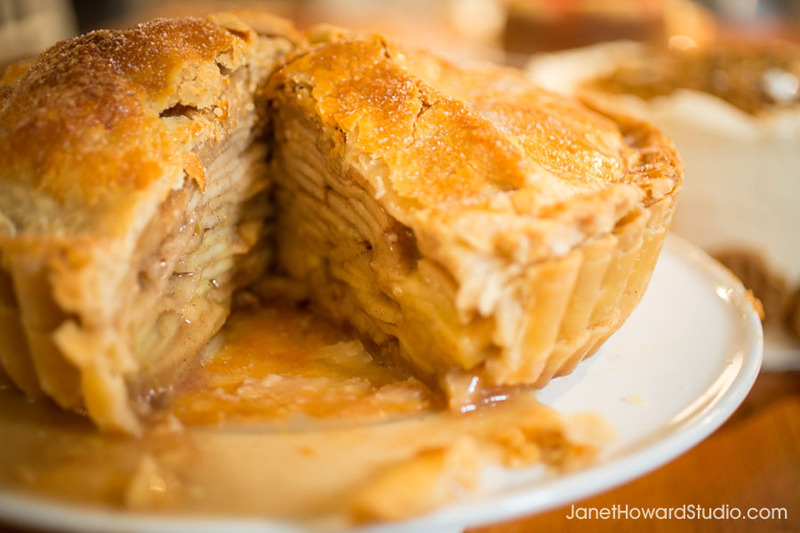 The apple filling had that same not-too-sweet filling, and that perfectly flaky crust. It tasted like HOME. It tasted like MEMORIES. It tasted like LOVE. It literally brought tears to my eyes. If I had it to do over again, I’d learn how to make pie. Sometimes you don’t realize until later what you’re really going to miss. So while you have the chance, think about your favorite parts of holiday meals, and learn how to make your favorite things. It’s a great chance to spend time with a loved one, and you’ll be so grateful that you have the tastes and smells to bring back those fond memories whenever you want. I’m ALWAYS grateful for pie, but for me this one is extra special. Some foods just taste like love.